Captain Ratty’s Seafood & Steakhouse 202 Middle St., (252) 633-2088 offers the sounds of Jason Addams tonight from 6-9 pm upstairs in the piano bar. The Brown Pelican 411 Broad St., (252) 631-5008 Open Mic is hosted by Brian Mac. Sign up starts at 7 pm Music starts at 8 pm. Pack up the gear bag and come jam!!! 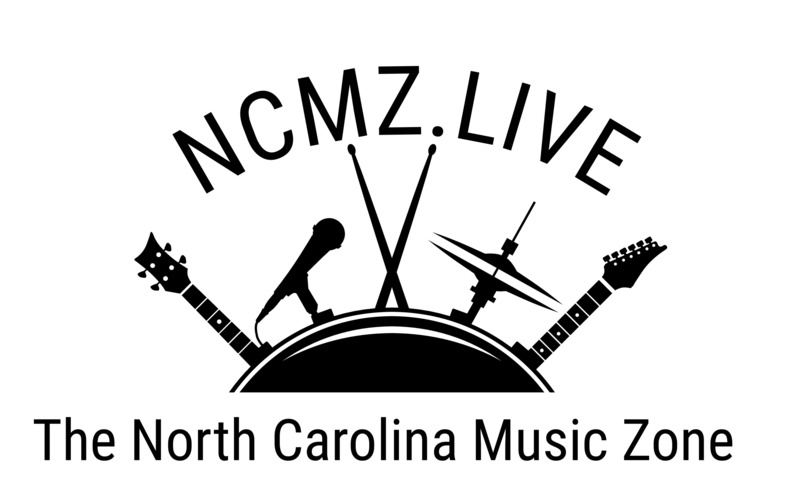 ArtWalk – New Bern features live music at Community Artists Gallery & Studios, Inc featuring music by Dan Jam Philips. BrÜtopia 1201 Highway 70 E, (252) 631-5142 welcomes Bruce Lynch will be sharing songs from 7-10 pm. Triple Play Restaurant & Sports Bar 111 Williams Rd, welcomes live music by Gary Dudley and Maxxtones. Live music starts at 9 pm. The Brown Pelican 411 Broad St., (252) 631-5008 offers the music of Rick Huff this Friday with FREE music offered 7-10 pm. Blackbeard’s Triple Play Restaurant 415 S Front St., (252) 635-0322 offers live music by Chocolate Chip & Company Band this Friday 7:30 pm until 11 pm. Free music to welcome your weekend! The City Stage 901 B Pollock St., (252) 631-5122 welcomes All My Rowdy Friends. Music starts at 8 pm. 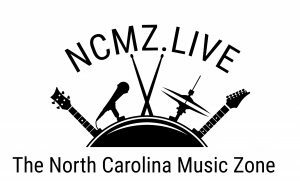 Sara’s Big Apple 1150 Broad Creek Rd offers live music offered by Ashton Ward from 6-8 pm in the back room. BrÜtopia 1201 Highway 70 E, New Bern, NC. (252) 631-5142. Free Music 7-10 pm featuring the songs offered by Rob Lightner. Come out and support local music, local food, and cold local brew. The Brown Pelican 411 Broad St., (252) 631-5008 welcomes Core Sound Live! Free Music! 8-11 pm. Blackbeard’s Triple Play Restaurant 415 S Front St., (252) 635-0322 welcomes the party grooves of TrainWreck. Free music 7:30-11 pm. The Brown Pelican 411 Broad St., (252) 631-5008 Welcome the week with a blues jam hosted by Big Jim Kohler Band. Music starts at 7 pm jam starts at 8 pm and music and fun last until 9 pm! The Brown Pelican 411 Broad St., (252) 631-5008 Welcomes Honky Tonk Tuesday with your host Michael Watkins. Music starts at 7 pm. All country music lovers are welcome to come out and jam. All are welcome. The City Stage, 901 B Pollock St., (252) 631-5122 welcomes. Big Jim Kohler & Friends. Music plays 7-9 pm and music is free. Spring Heritage Plant Sale The Spring Heritage Plant Sale will be open Friday and Saturday from 9 a.m. to 5 p.m. Supplies are limited so come early for the best selection. Behind the Scenes: Costume Shop, 2:00 p.m. at the Tryon Palace Waystation. Call 252-639-3500. West Craven High School Performing Arts Center. 2600 Streets Ferry Rd., Vanceboro presents Carrie The Musical Friday and Saturday at 7 pm and Sunday at 3 pm. New Bern Civic Theater 414 Pollock St, 252-633-056 This Friday and Saturday evening they welcome London Suite by Neil Simon (performed by Walk-in Bathtub), 7:30 p.m.
7th Annual Fashion Show at the New Bern Golf and Country Club. Presented by Peacock’s Plume benefiting the Coastal Women’s Shelter. Call 252-638-4509. Uncorked – A Wine Tasting 5:00 p.m. at Nautical Wheelers of New Bern. Call 252-514-2553. Heritage Homes Tour Join the New Bern Historical Society in Celebrating New Bern, its heritage, beauty, and resilience! We will celebrate our remarkable community with a very special Heritage Homes Tour on April 12-13. The tour will showcase some of the finest homes in all five historic districts: Downtown, Ghent, Riverside, Dryborough, and DeGraffenreid. You’ll also enjoy music, and a garden party featuring delicious refreshments, with a special visit from historic characters. Tickets available online at www.NewBernHistorical.org/tickets. 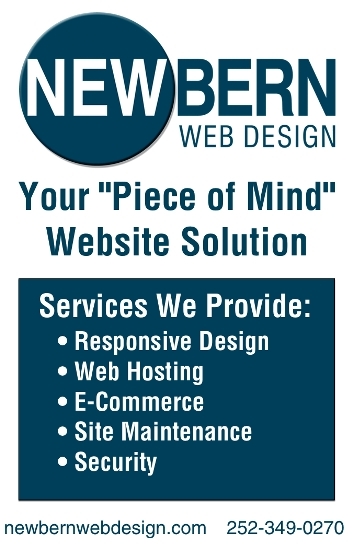 Also at our office at 511 Broad Street and at Mitchell’s Hardware and Bank of the Arts, and both New Bern Harris Teeters. 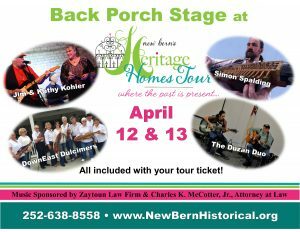 Spring Garden Lovers’ Weekend Tryon Palace gardens will be open for free in conjunction with the New Bern Historical Society’s 2019 Heritage Homes Tour, Friday through Sunday, April 12-14 in historic downtown New Bern. Enjoy a variety of spring blooming plants, including tulips, irises, and more, throughout the 16 acres of gardens of Tryon Palace during Garden Lovers’ Weekend. Gardens will be free and open to the public Friday, April 12, from 9 a.m. to 6 p.m.; Interior tours require the purchase of a ticket. Discounted admission with presentation of a 2019 Heritage Homes Tour ticket. Tryon Palace garden shop will also be open on Friday and Saturday from 10 a.m. to 5 p.m.
Heritage Homes Tour Continues Tickets available online at www.NewBernHistorical.org/tickets. 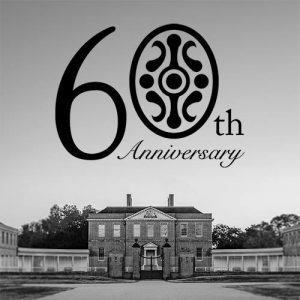 Spring Garden Lovers’ Weekend Tryon Palace gardens will be open for free in conjunction with the New Bern Historical Society’s 2019 Heritage Homes Tour, in historic downtown New Bern. Enjoy a variety of spring blooming plants, including tulips, irises, and more, throughout the 16 acres of gardens of Tryon Palace during Garden Lovers’ Weekend. Saturday, April 13, from 9 a.m. to 6 p.m. Interior tours require the purchase of a ticket. Discounted admission with presentation of a 2019 Heritage Homes Tour ticket. Tryon Palace garden shop will also be open on Friday and Saturday from 10 a.m. to 5 p.m.
Yard Sale benefiting Craven County Charities, 8:00 a.m. – 2:00 p.m. at the corner of US 17 and Trent Rd. (old Kia Dealership). Presented by the New Bern Civitan Club. Coastal Photo Club’s Spring Major Competition, 9:00 a.m. at Centenary United Methodist Church, 309 New St.
Eastern Carolina Pottery Festival, 9:00 a.m. – 5:00 p.m. at the North Carolina History Center. Presented by the Craven Arts Council & Gallery. Call 252-638-2577. Easter Egg Hunt, 10:00 a.m. – 12:00 p.m. at Lawson Creek Park. Presented by New Bern Parks and Recreation. Call 252-639-2901. Totally Egg-cellent Eggstravaganza, 10:00 a.m. – 12:00 p.m. at Broad Creek Christian Church. Call 252-637-3727. Annual BBQ Pork and Chicken Fundraiser, 11:00 a.m. – 7:00 p.m. at Rhems Volunteer and Fire Rescue, 5860 Hwy 17 S. Call 252-637-3365. Saturday Sessions, 1:00 p.m. – 5:00 p.m. at Bear Plaza. Presented by Swiss Bear, Inc. Call 252-288-9825. Great Glow Run 5K Run/Walk, 6:30 p.m. – 10:30 p.m. at Union Point Park. Presented by Easter Seals UCP. Call 800-662-7119. Introduce your dog(s) to new friends or just let them run around at the Down East Dog Park at Glenburnie Park, please know that you need to register first and receive the gate code before you can enter (252) 639-2901.Craven County Recreation & Parks (252) 636-6606.
ake a walk in the woods in the Croatian National Forest. The forest’s habitat has carnivorous plants like the Venus flytrap, pitcher plant, sun-dew, butterwort, bladderwort among other exotic plants. The Croatian spans approximately 160,000 acres and is located in New Bern’s backyard. It’s a sanctuary for black bear, deer, wild turkey, quail, coyote, bald eagle, beaver, bobcat, porcupine, American alligator, red-tailed hawk, and other wildlife you may see. For maps and more information, talk to the people at the Croatian National Forest’s Ranger’s Station on Hwy 70 E (252) 638-5628.